Victoria from Ugly Ducking to Beautiful Swan. The story of – Victoria the ugly duckling. 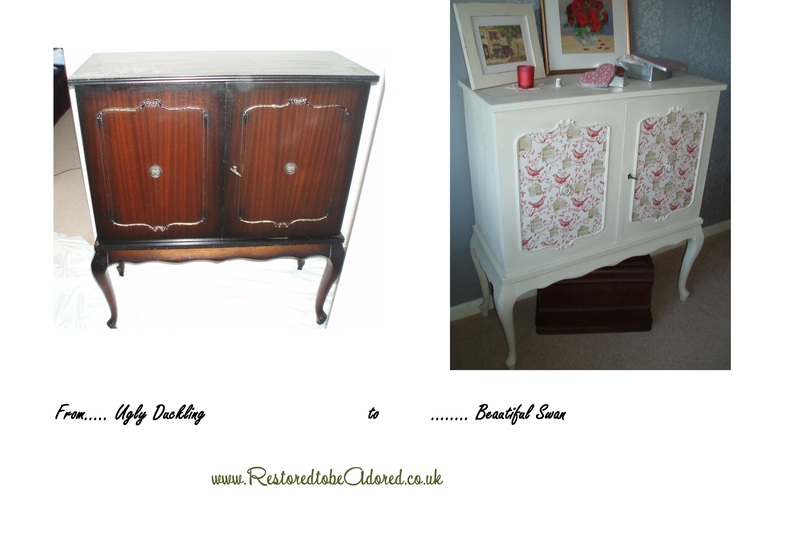 Let me take you on her journey from ugly duckling to beautiful swan.When Victoria arrived she was not a pretty picture she had a damaged back, no shelf and was not the prettiest shade of brown. v And finally new shelves that were carefully lined with Laura Ashley paper. So with love, care and a little help from My Little Vintage Attic, who provided the Autentico Antique White paint, wax and her beautiful paper. Victoria.…… The Swan was born. Victoria has been sold I was sad to see her go, we have been on a fascinating journey.